Extended ‘Frontiers and Challenges’ sections at the end of each chapter. Professor Kurt Kolasinksi is based at West Chester University in the Department of Chemistry. His research concentrates on the study of dynamical processes at the surfaces of metals and semiconductors with a special emphasis on structure formation and laser-surface interactions. He is responsible for teaching Theoretical and Experimental Physical Chemistry as well as Surface Science. He has published extensively in key journals and is Editor of the Surface Science section of Current Opinion in Solid State and Materials Science. 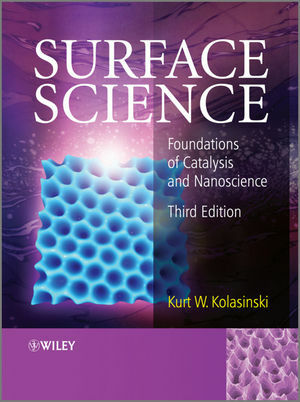 The second edition of his advanced text Surface Science was published in 2008.